TheVMCC Festival of Jurby is part of the Isle of Man Festival of Motorcycling and a visit should be on the bucket list of all classic motorcycle fans. 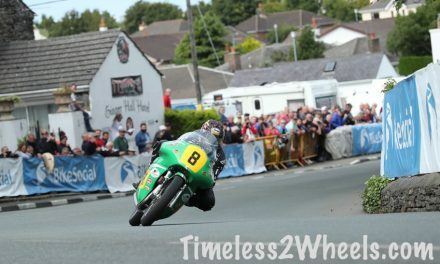 The festival takes in 2 weeks of classic TT races, the Manx Grand Prix, the Manx Two Day Trial, the Classic Weekend Trial, the Vintage Motorcycle Club Rally and the Festival of Jurby where I took the following photos. Harold Daniell rode this Norton to 5th in the 1937 Junior TT (350cc class) with an average speed over the Isle of Man’s famous mountain course of 78.77 mph. That was just 5mph slower than winner legendary Scottish motorcycle racer Jimmie Guthrie. Jimmie died later that year during the German Grand Prix. Harold Daniell went on to win the Senior race at the following years Isle of Man TT and in doing so was the first rider to lap the mountain course in under 25 minutes. 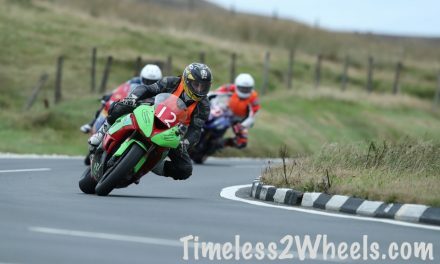 TT2018 record is 16 minutes and 50 seconds. Harold’s record lap time of 24 minutes and 52.6 seconds (with an average speed of over 91 mph) stood for 12 years. Harold Daniell had a 20 year love affair with the Isle of Man TT as well as racing in the Manx Grand Prix. He is also credited with naming the new frame Norton produced in 1950 designed to improve handling on the Mountain course. 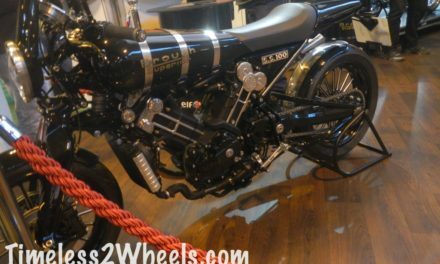 Velocette were a small motorcycle company in Birmingham, England set up by a German (KSS stands for Crankshaft Super Sport with crankshaft using the German spelling). The company were famous for the quality of their hand built motorcycles and as you can see, this particular one is still being ridden and going strong. The KSS Mark II went into production in 1948 so it’s been around for something like 70 years now. I didn’t meet the owner when I snapped this so I’m not 100% it is a MKII. 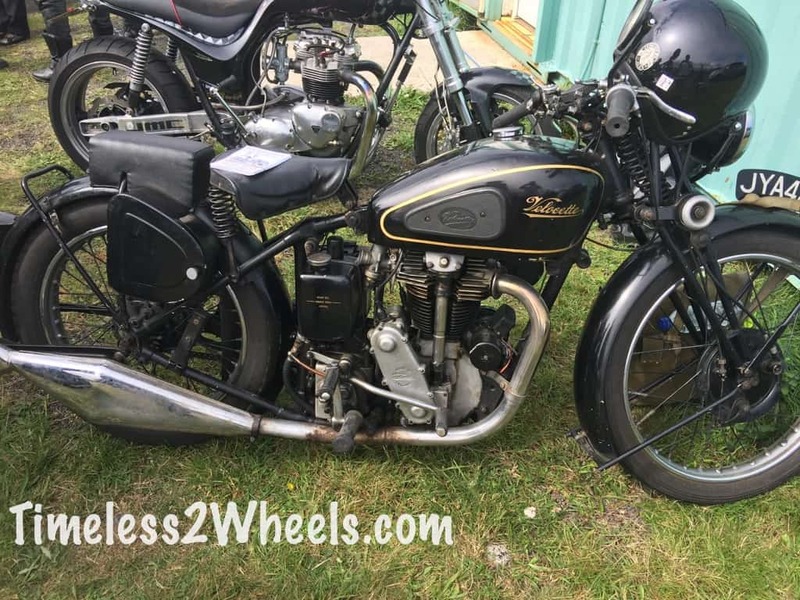 If any Velocette fans reading this would like to provide a bit more info please do using the comments at the bottom of the page or the contact form here. 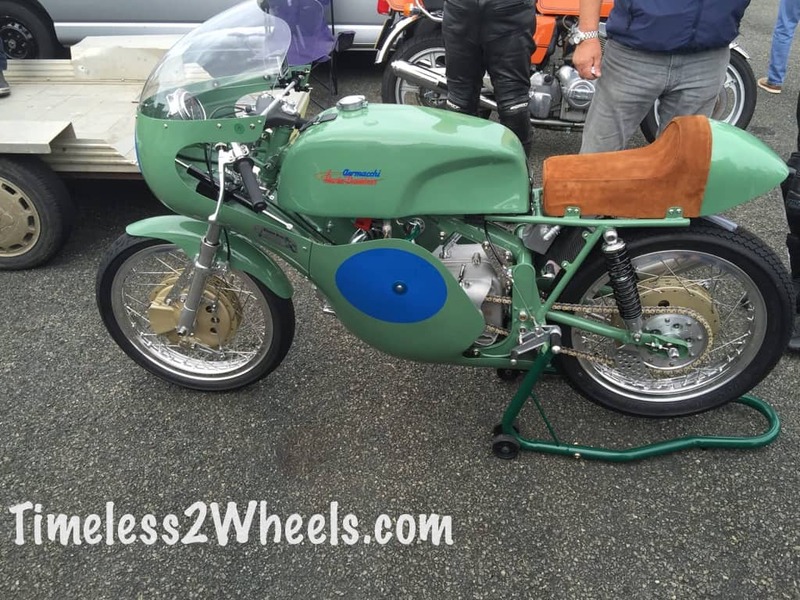 This mint condition Harley Davidson Aermacchi carries the Bladon Brothers badge. Chris and Paul Bladon both raced these machines as well as building them for others, including Joey Dunlop who rode his to 2nd place in the 1994 Classic Manx Grand Prix. The Bladon Bros were very successful and in demand engineers. 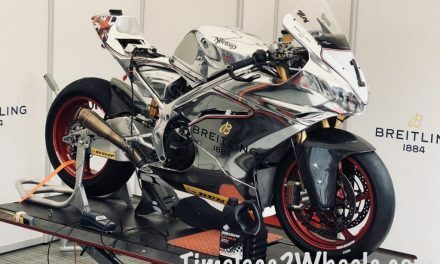 As well as being the go to guys for anything to do with the Aermacchi, they were consultants for both Yamaha and Honda racing and they were on the team that developed the Norton rotary powered motorcycle that set the British land speed record in 1991. Before Paul Bladon died in 2008 the brothers had become leaders in the development of micro jet engines and Chris is still at Bladon Jets as Chief Engineer. This iconic BSA Gold Star was getting lots of attention and it’s easy to see why, what a glorious example of this legendary motorcycle. Not only was the Gold Star the best selling BSA ever, it was one of the biggest sellers in motorcycle history thanks in no small part to it’s track exploits. 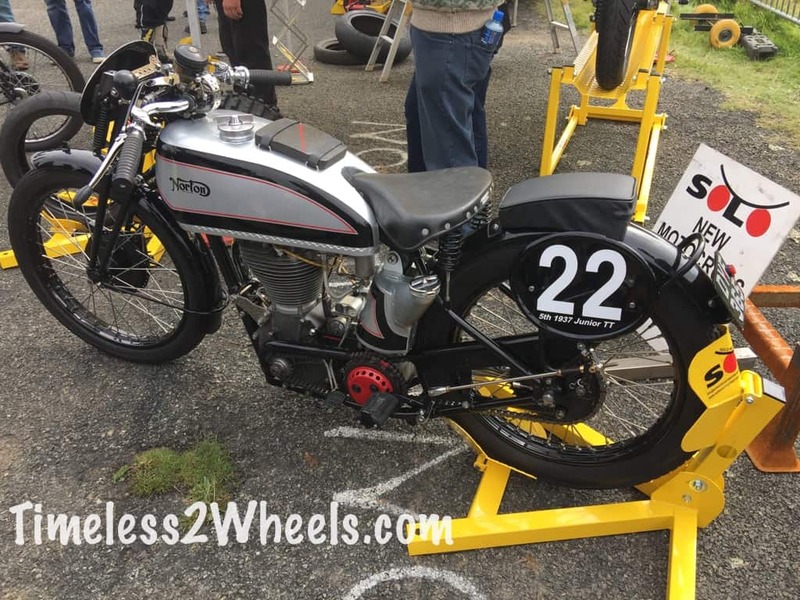 First appearing in 1937, it was named after the ‘Gold Star’ pin awarded to Wal Handley after his 107 mph lap on a BSA Empire Star at Brooklands. 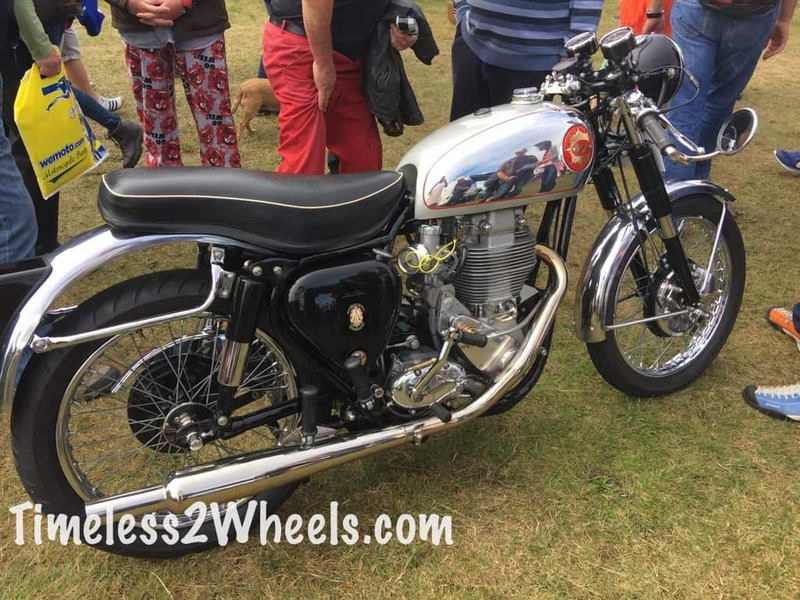 According to Classic British Motorcycles BSA were so proud to be awarded the Gold Star that they named their top of the line single the BSA Gold Star. I’d like to think the designers of the soon to be released Triumph Bobber were taking a walk through the factory museum looking for some inspiration when they came across this – The legendary 5T Speed Twin. 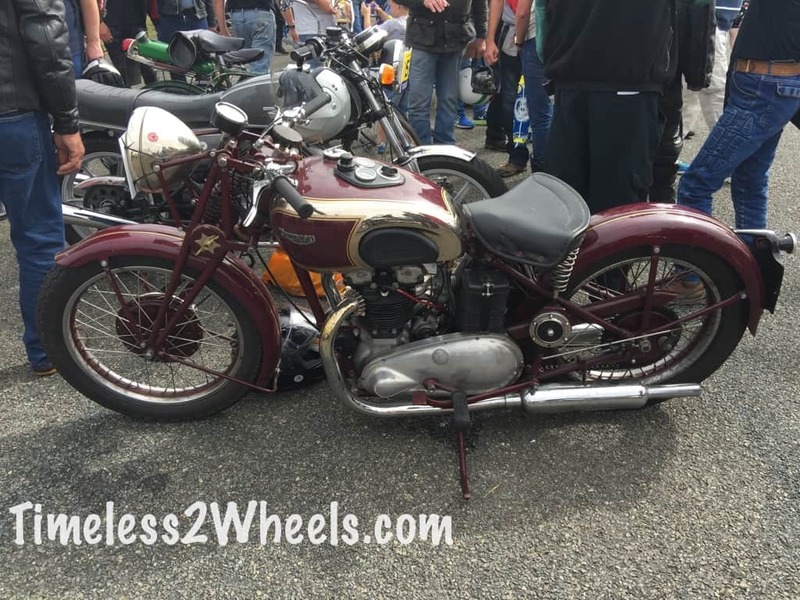 source – America’s Motorcycle Classics magazine.